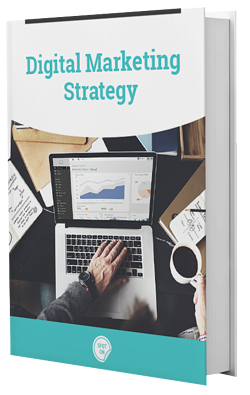 According to Smart Insights, nearly 49% of businesses do not have a digital marketing strategy. That’s a dangerously high number. While it’s possible some companies don’t require a strategy (maybe they’re already thriving and have no need for new leads or customers), that can’t be true for all of those companies. An even greater problem might be that many companies don’t really understand what a digital marketing strategy is, let alone how to begin developing one. Let’s dive into the basics and then we’ll explore specific topics as they relate to your company’s strategy. 1. What is a Digital Marketing Strategy? A digital marketing strategy should encompass your company’s goals, target audience, budget, and timeframe. It is created through research – interviewing your current customers (and, if you can, contacts who didn’t become customers), interviewing your sales team (what questions do they hear often, how long is the sales cycle, etc), evaluation of your competition (what do they look like and sound like?). Using that research as your foundation, you can define your personas and their specific pain points, and from there develop your strategy. The key to developing your digital marketing strategy is that it is built around your audience. It’s not about making your company sound great or only promoting your company’s products and services. Potential customers should arrive on your website through search or social media to learn more about a solution to their problem. Remember that your strategy is what drives the content you create, the social posts you share, the blogs you write, the videos you create. In other words, just because you can, doesn’t mean you should, let your strategy help you make that call. Creating buyer personas is a crucial step for your digital marketing strategy – especially for B2B companies. Make your marketing strategy personal. Help you visualize your customers. Put the focus on the buyer. Allow you to develop multiple personas, as needed. Are the first step to any digital marketing strategy and sales strategy. Distinguish buyers from the crowd. Are a way to determine key performance indicators (KPIs). Don’t stay the same – it’s important to keep up with industry changes and update your personas as necessary. If you need help getting started with your buyer personas, download our worksheet. The way people search is changing, which means marketers need to shift their thinking when developing a content marketing strategy. You might be wondering – what does this long-form content look like? Essentially, once you identify eight or more subtopics surrounding a main core topic, you’ll develop blog posts based on those topics, then build a pillar page based on that content. Note, you should not copy and paste content as this will result in duplicate content on your site, which is simply asking for trouble from Google. Instead, summarize your blog posts for each section of the pillar page and link to those blogs accordingly. In addition, you can link to relevant external articles that will continue to build your site’s credibility. After your pillar page has been published, it’s important to make sure each of the supporting blogs link back to the pillar page as well as other blog posts in the topic cluster. Lastly, once you build content like this, it shouldn’t stay the same for very long – continue to update with additional related topics as they come up, revise information that becomes irrelevant and add variety to the page by adding videos, infographics, and more. SHOULD you consider video marketing? Let’s discuss several reasons why video marketing plays an important part in your overall strategy. 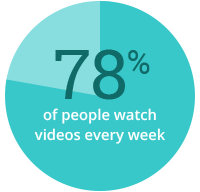 First, consider this statistic – 78% of people watch videos online every week. Not only is it easy to consume, it’s memorable for people. Here are six reasons video is one of the most versatile and profitable digital marketing tools. There’s always something changing with search engine optimization, more fondly known as SEO. We’ve said it before but it bears repeating: your content is very closely tied to your SEO. In fact, your content can directly impact how well you’re ranking on Google. While it often feels like a guessing game, especially with Google’s constant algorithm changes, we can focus on a few areas of optimization to ensure websites are positioned to rank well. Something else to consider is the areas in which your website is already successful. If you’re ranking on the second or third results page for a specific keyword or phrase, it will be much easier to get to page 1 than if you’re on page 10 or worse, not ranking at all. Believe it or not, while you shouldn’t copy competitors verbatim when it comes to site content, if you see a company ranking on the first page, find out what they’re doing right and update your own content to follow suit. Building backlinks are a key way for your site to build trust with Google. However, getting them is another story. While it’s not a best practice to reach out to sites and ask them to link to your site, you can build relationships by first offering something to sites you would like to link to yours, such as a guest blog. Helpful hint: you can calculate how many backlinks you’ll need for better ranking. By finding the average number of backlinks needed for websites on page 1, you can work toward a particular goal. As search engines have evolved they have learned how to make connections between search queries and the content the searcher is actually trying to find. This essentially means that search engines are no longer solely focused on delivering results based on an exact match keyword, but rather, contextual results around a topic. The difference is that using specific keywords is focused on one word or phrase. In contrast, using a topic surrounds a group of related keywords. By building relevant content, it will allow search engines to provide searchers with the results that are closest to what they are trying to find. By linking your blog posts to each other, search engines can understand that they are related and provide the best results. When you search, occasionally you’ll see a featured snippet. This provides the searcher with a quick answer – which is good… and bad. If they’re interested, a searcher will click through to the page. However, if they find their answer from a snippet, they might not have a reason to follow through and review other search results displayed. Now you’re asking, “how do I get a featured snippet?” Actually, there are a few things you can do to optimize pages so that Google can easily crawl and potentially use your content as a snippet. One thing you can do is add a 50-word summary of a blog post above the rest of the content. Formatting is another key area – ensure that your blog title is an H1, your subheaders are an H2, and list items are formatted as H3. If your blog posts aren’t already in this format, don’t worry. It’s more important to focus on the ones that have potential to rank on page 1. Review which keywords and pages are ranking for pages 2 and 3 and optimize from there. Lastly, you can optimize “older” blog posts from the last 6-12 months to potentially improve their ranking. Again, if they’re not on pages 2 or 3, it might not be helpful to update them. Above all else, ensure that the blog posts you choose to optimize are updated for accuracy, freshness, and comprehensiveness, making them worthwhile to republish as new. If you make small changes but the blog post is essentially the same, it might not be worth republishing. Your company’s digital presence includes all of the information available online about your business, including, your address, phone number, hours of operation, products, services, reviews…the list goes on. Whether you’re a local, regional, or national business, at least some aspect of digital presence matters. So that’s what your digital presence consists of, but, what is digital presence management? It is essentially the process by which you source, manage, and make information available about your business to your customers. While managing your digital presence isn’t directly related to SEO, it does relate to how your business appears in search engine results, particularly for local search. Next, let’s explore why it matters. Three out of four people are performing local searches, which means if your business isn’t showing up in local search results, you could be missing out on a lot of business. Because search engines pull information from many different data sources, there’s a good chance that at least some of your company’s information will be inaccurate. While your information can come from almost anywhere online, some examples are Yelp, Facebook, and Google. While many businesses might not even realize there’s inaccurate information about them online, this can become a problem when important information about your business is being displayed for potential customers. If potential customers are seeing discrepancies in your company’s information or can’t find the information they’re searching for, they may go to a competitor instead, meaning you lose out on business. There are several options available to ensure your information is accurate across all sources. If you want to learn more about the best option for updating your information, learn more here. While website strategy is considered separate from digital marketing strategy, it shouldn’t be ignored, but rather it should be an integral part of your digital marketing strategy. Optimizing your website for search engines includes several components, such as page titles and descriptions, useful URLs, precise navigation links, on-page SEO, blog topics, and pillar pages. Gaining trust from your potential customers is another important part of your website strategy. How is this done? Ideally by regularly posting on your blog, offering expert advice through content offers, client testimonials, and case studies. By working to improve the user experience, visitors will find answers to their questions and solutions for their problems. This can be accomplished through a solid sitemap structure, focused website pages, clear and concise information, consistency throughout your site (from brand to keywords), a clean appearance, a fast page load time, secondary navigation and search, mobile optimization, and lastly – by using tracking software, you can understand how your visitors are using your site and see if improvements need to be made. 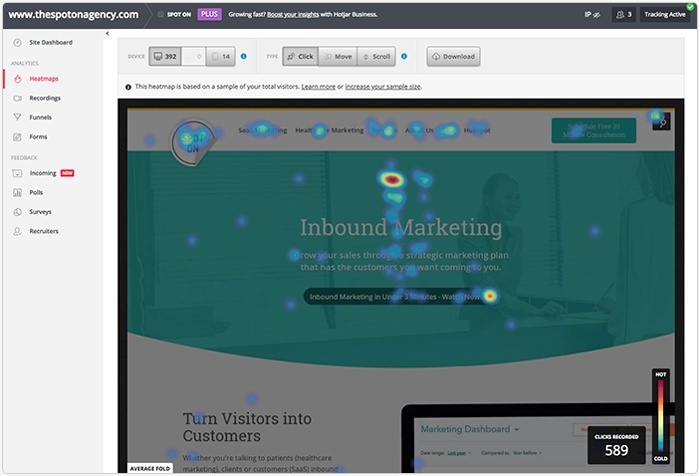 Your site should immediately grab a visitor’s attention. This might include relatable photography for their industry, information available by industry, utilizing smart content through a tool like Hubspot, displaying team member information, and showing blog author information. A successful website isn’t just a one-way communication to your potential customers – it should also allow visitors to reach out to you. You can create more meaningful connections by showing your social network information, turning on comments for your blog, enabling live chat, or sharing your calendar to schedule a meeting. Lastly, since converting visitors is one of the main goals of your website, there are a few steps you can take to ensure you’re making it as simple as possible for people to convert. By creating catchy CTAs, simplifying landing pages, using thank you pages, including subscribe options, and reducing any friction (i.e. the number of steps to conversion). WATCH THE “2018 SURVIVAL GUIDE FOR YOUR WEBSITE” WEBINAR NOW! We mentioned earlier that companies can no longer afford to simply exist on social media – it’s vital to have a strategy, goals, and engagement with your followers. In fact, when executed correctly, social media can have positive effects for your business. The keywords you use on your social pages can have an impact on search results. For social pages with high engagement, this will make your company more likely to be crawled as a credible source and listed in search engine results. Your social pages are a great way to increase lead generation, from site visits to conversions, focus on the type of content your audience favors and use it to attract more people to your website. If nothing else, your social networks can build relationships and connections with the people who are the right fit for your business. With these effects in mind, you might be wondering how you can make improvements to your current social media strategy. If you aren’t sure where to begin, consider these tips, then we’ll discuss strategy for three of the main networks. The most important aspect of any social media strategy is that you are creating and posting content that resonates with your audience. With LinkedIn in particular, many business-to-business companies expect that connections made on this network will produce leads and sales. Who are our true, most high-value prospects? Are we reaching people who don't know they need us? Have we done our best to fill our prospect coffers to the max? Do we prioritize quality over quantity? Are you a leader worthy of gaining authority in the industry? Once you have the answers to these questions, you can begin to form a tailored approach to your LinkedIn marketing strategy. While it might depend on your audience, determining your approach to this still-popular (even if under scrutiny) social network is essential to seeing results. 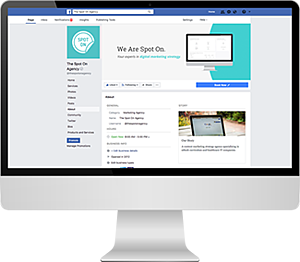 As you craft a digital marketing strategy, consider how your audience might interact with your company on Facebook. First, keeping your buyer personas in mind, determine the types of content you should post. Video is becoming increasingly popular, especially on this network. A quick informational clip about an important topic in your industry could result in hundreds if not thousands of views. Just don’t forget a call to action either in the post copy or even at the end of the video. Remember that, in general, people have incredibly short attention spans, especially now. Unless it’s particularly compelling, your audience is unlikely to read more than a couple of sentences in a post, let alone several paragraphs. Second, remember that the content you share should be only 20% about your company and 80% content from other sources. This is useful for a couple of reasons. For one, no one wants to engage with someone that only talks about themselves. A second reason is that it opens the door for you to engage with others in your industry by tagging the content source, potentially drawing in those in your audience who haven’t seen your content before. Lastly, we can’t ignore the fact that it’s becoming more difficult for your audience to see organic content from business pages. With recent algorithm changes that focus on delivering the content that Facebook thinks users most likely want to see, it’s more challenging than ever before to get eyes on your posts. The answer? Consider Facebook advertising. It might seem intimidating, but there are many tools for learning about running a campaign or, you can reach out to an expert. Create unique tweets for your account. With scheduling through various content management systems available, it’s easy to set up a bunch of social posts at once. However, don’t neglect to create custom posts for Twitter and mention other accounts – especially if you’re sharing their content. Focus on industry hashtags. Hashtags aren’t simply a continuation of a sentence. They are a way of cataloging posts. It doesn’t hurt to conduct some research about popular hashtags in your industry, so your audience can find your content even if they don’t follow your company (yet). Don’t be afraid to use humor. Many company accounts have found success by embracing their business and keeping it real on Twitter. Check out some fun examples here. Try live video tweets. With its increasing popularity on almost every network, you can’t afford to ignore it on Twitter. Whether you have no experience, have dabbled with PPC marketing, or consider yourself an expert, knowing how paid ads can help your overall marketing strategy is essential. When it comes to determining whether or not PPC would be worthwhile for your company, it really depends on your business and audience. While an SEO strategy is ideal for your long-term success, PPC can potentially produce more results in a shorter period of time. PPC can increase leads or sales for both B2C and B2B companies. For B2C, running a Google AdWords campaign might immediately increase sales, but since B2B has a longer sales cycle, this can be a great source for more leads to nurture in the coming months. If you’re unfamiliar with how PPC works, let’s go over the basics. When running a PPC campaign, you select a set of keywords and choose a bid amount for each. As far as strategy goes, you’re probably on a budget, so it makes sense to search for keywords that have a lower cost per click (or CPC). For incredibly competitive industries, finding the right keywords that aren’t super expensive can also be challenging, but it is possible. Google allows you to target your audience using demographic information, geographic data, and search terms. As we mentioned earlier, it’s crucial to consider your budget before starting any campaigns, as this will affect how much you can bid on keywords. Creating campaigns allows you to choose a focus, whether it’s for a particular event, service, product, or region. This will show you how successful your campaigns are – whether that means a visitor simply views a page, subscribes to your blog, or registers for a webinar – it all depends on what you hope to accomplish with the campaign. Now that you know how to execute your strategy, we wanted to share a few tools that can be helpful when it comes to evaluating and improving your results. Create a Responsive and Growth-Driven Website Design – By doing so, you will increase lead generation. You know that many prospective clients will first view your website – this is your opportunity to not only impress them, but also provide them with the best user experience possible. Use ROI Assessments – Through regularly reviewing website analytics, you’ll learn if there are any areas that require improvement on your site. Are visitors clicking on an area looking for more info when there isn’t any? Consider adding a hyperlink to a new page, video or blog post. Use the Right CRM System – When you choose a CRM, it enables you to save time and money, especially when it comes to data input and contextualizing communication with prospects and clients. The right CRM will also show you what content is resonating most with your visitors… and what isn’t. As you’ve read, creating a digital marketing strategy is quite involved – there are a number of components to consider and decisions to make. Whether you need help developing a digital marketing strategy, training to implement, or even implementation, contact Spot On to learn more about developing your digital marketing strategy.